I love waterfalls that have campsites nearby. 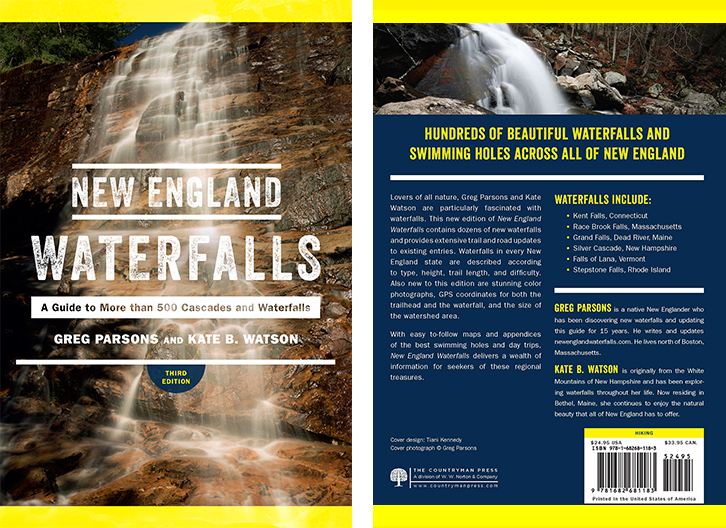 I love waterfalls that that have both campsites and swimming holes nearby even more. 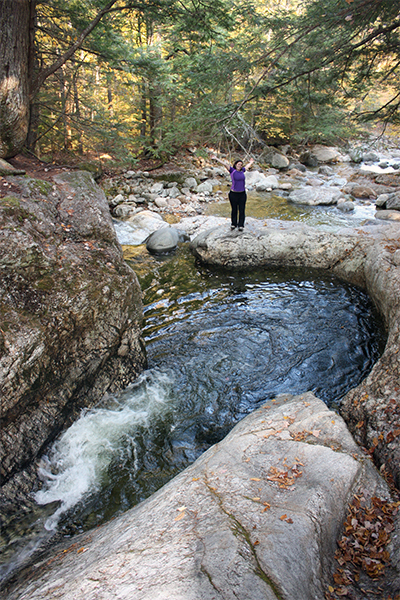 The combination of camping and swimming holes is like mixing two treasured childhood pastimes. What is better than that? The swimming holes you will find here are some of the most attractive ones you will find near any shelter along the 2,150-plus mile Appalachian Trail. The best swimming hole is found in a giant pothole in the middle of the falls about 200 feet from the shelter. With clear, deep water-and enough room for up to eight swimmers-this pool is sure to delight all who are willing to brave its cold water. Attractive granite surrounds the pool, with gorge walls eight feet high on the far side of the river. I did not measure the depth of the pool, but it seemed like there was some potential for cliff diving here. 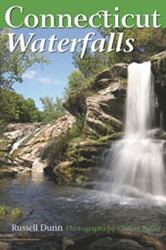 The falls found here are primarily made up of long slides and small cascades. The total vertical drop is about 12 feet, but it is spread over about 75 feet of river. 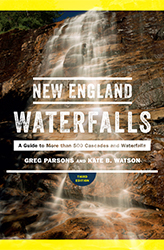 None of the falls are particularly notable, but as a complete package they are scenic enough to warrant a visit. The angles of the slides are low enough that there may be some ride-able natural waterslides here too under the right water conditions. I did not test this theory during my visit though, so I cannot confirm this. The best way to visit this falls is to stay at the free shelter (it's actually a lean-to) that is on site. There is room for up to eight people here (although six will fit more comfortably), with some additional places to tent camp if the shelter is full. 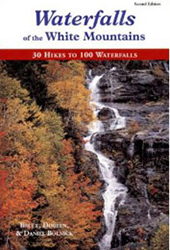 More information can be found here: http://hikethewhites.com/rattleriver.html. From the parking area, follow the white-blazed Rattle River Trail (this is also the Appalachian Trail) south as it gradually climbs over relatively easy terrain for 1.7 miles and you will reach the Rattle River Shelter on your left. When you do reach the shelter, take a right onto a spur trail and follow it 100 feet down to the edge of the river. 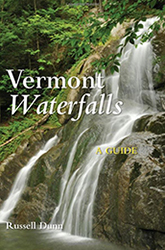 You will immediately find the first of several swimming holes here. Head right and downstream along the river's edge for 100 feet (do not walk in the woods as it is currently a re-vegetation area) and you will find the falls and the premier swimming holes. 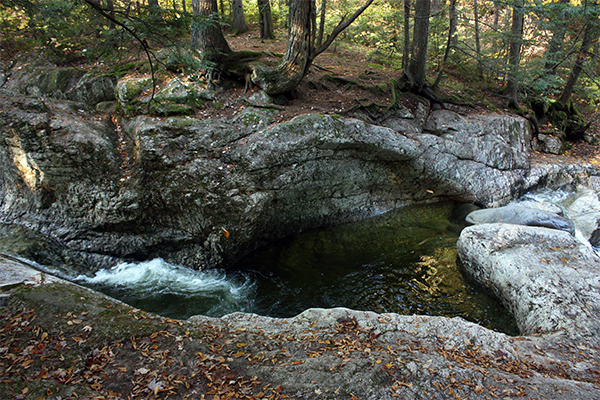 The lowermost swimming hole on this river is found at the base of the falls. There is also a less attractive swimming hole a few tenths of a mile upstream of the shelter. Take the Rattle River Trail south as it continues to climb gradually. The final swimming hole is found on your left shortly after the trail crosses the river, which can be difficult in high water. In my opinion, this swimming hole is not worth the extra effort involved in reaching it. From the junction of NH 16 and US-2 in Gorham, take US-2 east for 3.6 miles and you will find a dirt parking lot on the right for the Appalachian Trail. To get to Gorham, take NH 16 north from North Conway or US-2 west from Bethel, Maine. You can hike to the summit of Mt. Moriah from the Rattle River Trail. 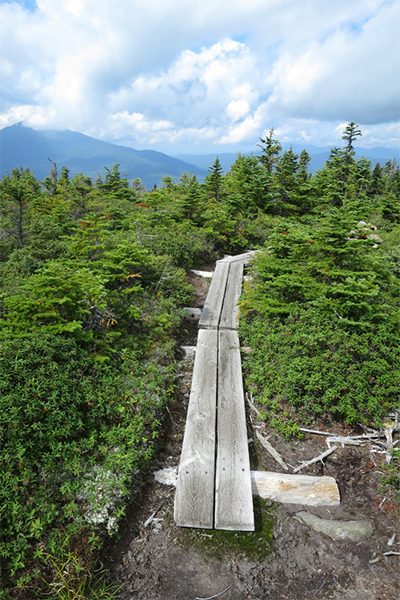 Take the Rattle River Trail to a right turn onto the Kenduskeag Trail and then turn right onto the Carter-Moriah Trail for a short distance to the summit. Mt. Moriah offers great views from the summit, and this is an interesting (although tough) hike overall. This is a 11.6 mile round-trip hike with about 3,400 of elevation gain. 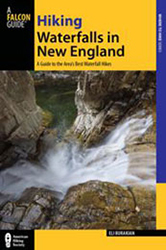 You can shorten the hike a bit if you have a second car or are willing to hitchhike to or from the Carter-Moriah Trailhead on Bangor Street in Gorham or the Stony Brook Trail trailhead on NH 16.